Home DIY My DIY Pineapple Rug Featured In HGTV Magazine! Did you hear the exciting blog news?! I was just featured in the April issue of HGTV Magazine, and can hardly contain my excitement—so much so that these iPhone photos were all I had the patience to snap before sharing the big news! I am beyond thrilled and honored to be mentioned alongside a handful of wildly talented creatives in the business, all of whom I’m linking to below. The story is centered squarely on blogger projects, and starts on page 69 of the magazine, which is on newsstands now. 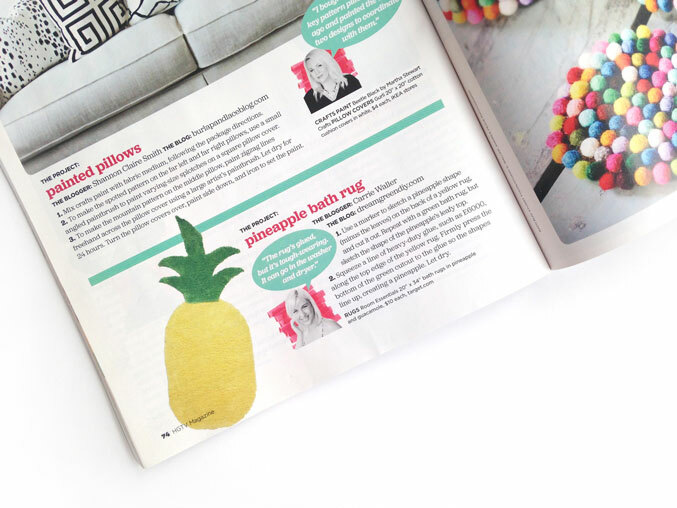 Within the 9-page spread, you’ll not only find instructions for the DIY Pineapple Rug that I made in collaboration with Cyd Converse, of The Sweetest Occasion, but also lots of other spring-worthy crafts—think: felt ball coasters, a wallpapered fridge, and painted striped bottles, too. Prepare to be extra inspired for the new season as you flip through the pages! As a mini aside, this seems like as good a time as any (although I’m always thinking it) to mention just how much I adore and appreciate every single one of you. It’s moments like this when I have to pinch myself and say, “Is this really my job?” I couldn’t do what I do without your awesome support, and so this big, slobbery virtual kiss most definitely goes out to all of you: MUAH! 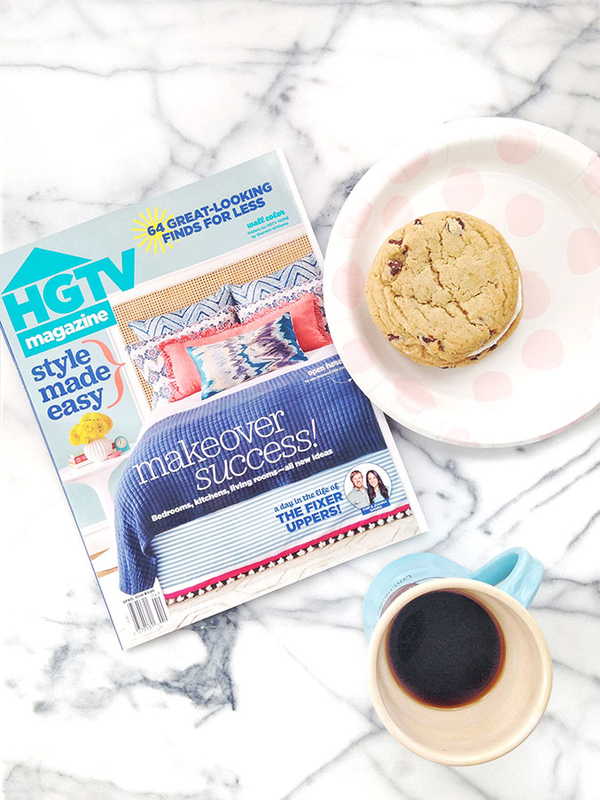 The post My DIY Pineapple Rug Featured In HGTV Magazine! appeared first on Dream Green DIY. Next articleWhy Do All Zippers Have the Letters YKK on Them?